From being mocked for its utilitarian designs to turning into a benchmark for premium smartphone design, Samsung has come a long way in the last few years. It showed its design prowess once again with the recently launched Galaxy S10 series that has been receiving praise from all quarters. 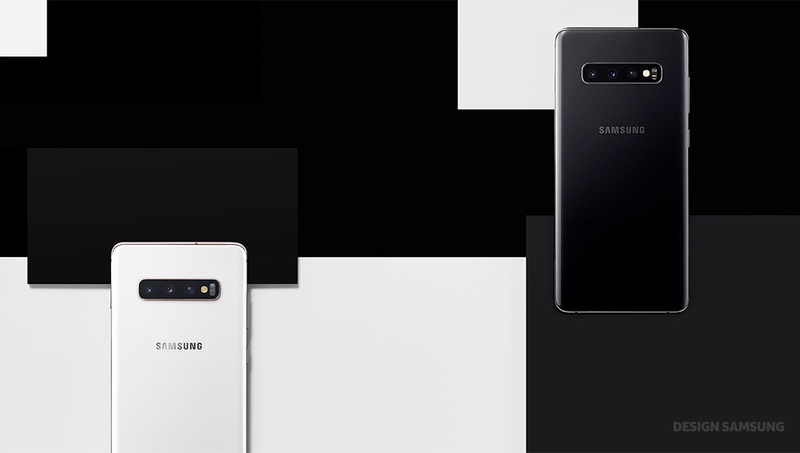 The Korean company took its critically-acclaimed flagship design from last year and refined it further to stay ahead of the rivals. In an interview published on Samsung Newsroom, the design team behind the Galaxy S10 lineup sheds some details on the thinking and the process that went into making the latest flagships. Much of what is published is vague and PR speak, but it also reveals a bit about the thought process behind the design of the new flagships. “To create Prism White, we overlaid around 1,000 sheets of nanofilms together, each with different reflectivity. It was especially difficult to fine-tune which colors would stand out the most,” said Duyeong Choi from Design Team’s CMF Group that oversees color. The team also introduced bold new colors like Canary Yellow and Flamingo Pink to appeal to the Millennials and Gen Z. Moving beyond glass, Samsung also introduced luxurious ceramic backs for select Galaxy S10+ variants. The team says the ceramic finish is a 200 hour-long process and offers increased durability and scratch resistance, some of which we have already experienced in actual use. They also talk about the position of the front camera and how it enhances the overall design with minimal bezels. The Galaxy S10’s design may not look like a big leap forward at first glance, but the seemingly minor improvements it brings to the table are hard to achieve as easy gains in design are over. “In smartphone design, continual innovation is no easy task, but we are always listening to users, and are committed to pushing the boundaries of design to create Galaxy devices that everyone can enjoy,” said Seungho Jang from the Flagship Product Design Group in the Design Team. I owned the S9 Plus and Note 9 prior to getting the S10Plus. The The New S10Plus is an amazing phone in every way. While I was not a fan of the hole punch originally, It doesn’t bother me at all any more. IN every day use, watching videos, surfing the web and playing games, it doesn’t get in my way or disturb the view at any time. Awesome Phone – hoping they have more innovation coming with the Note 10 – Can’t wait to see what they have planned. I bet they are now designing Note 10. But on the front we still have Gorilla Glass. We need ceramic front. And final Galaxy S10 also have 1000 sheets of nanofilms in back ? And nobody noticed the 200 hour process to make the Ceramic versions?? 200!! hours…. I’m sure Kim Jong-un would give them a nice welcome since he’s getting more famous now because of the wallpapers. Do you own an s10? If you don’t then you really can’t give a comment about the hp. Having used my s10 for a month the hole is not noticeable and you forget it’s even there. Yeah, yeah same excuse for the equally stupid and unnecessary notch on iPhones. This is just slightly better only because you can’t even hide that hideous notch on iPhones like you can on most android notched phones but it is nonetheless a stupid and unnecessary decision whether you get used to it or not. Definitely not a decision to get use to it. It’s a fantastic design where the hole doesn’t interrupt any usage. Much better than the ugly top that was on my s8/s9. Amazing for you, horrible and unnecessary for me. Give me the top and bottom bezels any time any day and if with front facing firing stereo speakers much better. It’s a shame to see this beautiful amoled screen being ruined by this notch out of place or floating notches (especially the hideous pill shaped cutout) like many are rightly so calling them. I’m way happier and more pleased with the thin bezels on my Note 9 and its clean and an interrupted screen. It’s understandable if you have experience both devices to make a comment but simply saying you don’t like something without actually using it is sad. I don’t need to own it. I’ve played and used all of them enough times to get to my own conclusions. For reviewers and people like you in the tech community which are actually like 1-2% of the actual average consumer is the reason that Samsung and other OEMs come out with this stupid ideas. The wrong solution for an actual non existing issue for the vast majority of the average consumer. The problem is real, bigger screen on a smaller form factor. That is the goal. Plus it’s ugly neither the big top and bottom chin. Biransahin, you are the only moron and moaner. I’m pretty sure my life is way happier than yours. That’s my opinion and I’ll stand by it all the way. This was a stupid and unnecessary decision. Minimal bezels with front facing firing stereo speakers would have been way better. There is ABSOLUTELY nothing like a clean and clear screen without interruption of any kinds in any device, be it a phone, a tablet, a monitor, a TV, etc. No notch, no punch hole, no stupid pill shaped cutout, period. I replied to this comment but I dont see it. Man I have a nice job but more importantly I enjoy IT sth not everyone can say even with high pay jobs. I have a very healthy and happy life probably better and happier than yours. Martin I’m cool and I never ever use offensive language and call people names even if I disagree with their comments but don’t do that to me or i will reply in kind. We are all entitled to our opinions whether we are right or not. No need to call people morons or sad individuals only because you don’t agree with people’s comments, that’s disrespectful. I think the design was really very good. And what you like best is thinner, if thicker than your ancestors, you could have a bigger battery, but I think it’s as good as it is. how is the battery life on s10 as compared to s9 ? But I forgot to mention that I have been using the qhd+ oppose to fhd+ I used on my s9. The s10 is a great phone but would I recommend upgrading from s9 it will be hard especially one ui will give you much of the same look and feel. Unless you really want to have the extra camera and bigger screen in a form that is slightly bigger than and s8. Maybe worth to hold off till the s11. But if you are a big Samsung fan. I can’t say anything bad about the s10. Get the s10 then. I’ve not regretted it at all. Definitely not fan of the s10 plus due to its size. Too big for me. The only difference is the additional depth camera on the front and bigger battery and the cooling system. You have used both s10 and s10 plus? Daily driver is an s10 but have access to an s10 plus but really can’t say on the overall performance of the battery as I always gravitate to the normal s10 for the size. Speed and other stuff is the same. Yes you’re right about the black one, it should have had a black frame.